It took two and half years from my first attack, which numbed the entire right side of my body in the fall of 2005, for the second relapse to strike. With relapse remitting multiple sclerosis, that second attack was almost certainly going to happen. So it was odd that I didn’t see it coming in March of 2008. 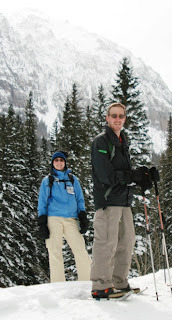 I had just snowboarded a full day in Telluride. I went shoe shoeing for two hours the following day (picture of me and my wife Laura at left from that day). I was guessing I must have overdid it. That's all. Okay, so my right leg was A LOT weaker. Going from the couch to the fridge to get a beer was an ordeal. And lifting said beer with my right arm actually required serious effort. It felt so stinkin’ heavy! And then there was that burning sensation all over my body. As the wave of new symptoms slowly rolled in, each swell eroded my confidence. I wasn’t prepared mentally. I guess who really is? A couple nights later when Laura was away, my right leg screaming at me, I realized I didn’t have the strength to stand and do a measly few dinner dishes. So I just sat down in the middle of the kitchen floor. And cried for five solid minutes. 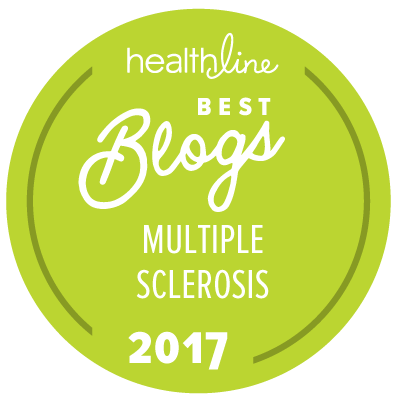 I hadn’t cried about my MS like that since I was first diagnosed, but I needed that release. The following day I caved and called the neuro to give them an update. Come in the next day, they said. Two days later I was getting my first of three 1,000 mg steroid infusions in the hospital, all the while stubbornly still going to the gym despite barely being able to walk. A week later, I was back to my relative “normal” self—the burning was gone and most of my strength had returned. Even though I put on airs of nothing-gets-me-down super ActiveMSer guy, my kryptonite experience in the kitchen—which my wife heard about for the first time reading this blog (sorry honey)—served as a reminder that this disease can, at times, be impossibly hard to cope with. (And I fully realize I had it relatively easy!) But cope we must. Tomorrow always dawns another day… and renewed hope. Originally published March 7, 2008. Edited for clarity. Waiting for the hammer to fall is difficult...but not as difficult as having it fall. Take care! Ack, hang in there, Anon! Hopefully the steroids will do their job. I know it's no fun.